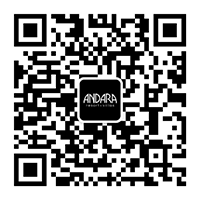 It is the policy of the Data User (Andara Resort & Villas) to comply with General Data Protection Regulation. In doing so, we will ensure compliance by our staff with the strictest standards of security and confidentiality. Andara safeguards all information provided by our Customers and Website users (“Users”). We do not collect any personally identifiable information (“PII”) from Users during their browsing of our Website. When Users visit our Website we record their visit only as a ‘hit’ and do not collect any PII from them. We will however make a record of the visit that shows only the domain name server (DNS) address, part of their e-mail address, and of the pages visited. We use such information only for preparing general statistics on the usage of our web sites. If PII are collected in the process of making enquires or submitting applications for services provided by different operations within Andara, Users will be informed via the Personal Information Collection Statement of our websites of such purposes and uses, including the extent of their transfer and disclosure; and the right of access to and correction of the collected PII. At the time of subscription to our newsletter and at other times when using the Website, you may be asked to provide us with personally identifiable information, such as your name and e-mail address. It is necessary for us to collect your information for providing you with the various services and activities offered on this Website. You are not obliged to provide the information but if you fail to provide the requested information, we will not be able to provide you with the services and activities available on this Website. Certain non-personally identifiable information which does not identify you, may also be collected when you use this Website, including the type of browser and operating system you use, your IP address, other navigational clickstream data, etc. In addition, your information will be accessed by, disclosed or transferred to any person or bodies corporate or division within Andara for legitimate interests to our business for purposes set out above. PII collected will be maintained securely in our system. We will only retain such data for as long as it is required to fulfill the purposes for which it was collected. Only authorized staff will be permitted access to such PII, and we shall not release such PII to any external parties except those parties set out in our Personal Information Collection Statement without User’s prior explicit consent. We use some cookies which are “strictly necessary cookies” and without them you will not be able to browse through our Website. If you decide to withhold your consent or block these cookies, some aspects of our Website may not work properly, and you may not be able to access the Website in its entirety.